What do you do when positive thinking stops working? Really, I’m serious. If you have ever tried being really positive while playing golf, you may have experienced some success but what do you do when you start playing poorly? It is very hard to keep positive when you have no idea where the ball is going. I tried the positive thinking route myself and when things got tough the only explanation for my poor performance was that I was not being positive enough. There had to be more to it than that I thought, so I went about trying to discover the truth about how our mind gets in the way of good performance. What I found changed the way I played and coached golfers forever. Within this book you will find all the information you need to overcome many of golf’s problems. You will learn how to let go of fear and anxiety while you play the game. Discover what self-doubt does to your game and learn how to overcome it. With practice you can develop a calm, balanced mind for golf, a mind that is not constantly worried about the score, a mind that is not swinging from one mood to another. You can stop feeling angry & frustrated by seeing for yourself how you are sabotaging your chances. I am not going to give you 20 free bonuses if you buy today, nor am I going to offer you money back guarantees. There are no guarantees but I promise you that if you are patient & practice these simple exercises with an open mind you will get the benefits. You will also have direct access to me. Call or email me with any questions along the way. Available to download for Kindle, Apple Ipad, Sony Reader, Nook, Kobo, PC and most other reading devices. I am a 64 year old man who has been playing golf since I was about 15. I never really had a good short game but for about the last 20 years I have been struggling mightily with the chipping yips and more recently the putting yips as well. My game is very strong tee to green. I sometimes hit 12 greens or more in regulation only to shoot 88 to 94 due to my horrendous short game. I have tried so many things over the years all to no avail. 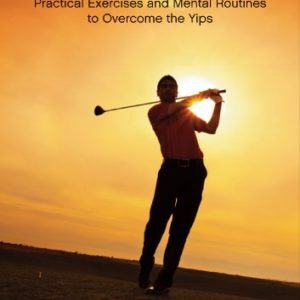 I just finished your book “Golf Yips: Practical Exercises and Mental Routines to Overcome the Yips.” Thank you thank you thank you! I shot 81 today. My playing partners were in shock at the good solid chips I was hitting and the putts I was holing. I’m considering buying the video series but I think I’ll wait a little while as I continue to try to put the principles from the book into practice on the course. I am so appreciative of finally finding someone who understands and speaks directly to the mental interference which is the real cause. Thank you again! 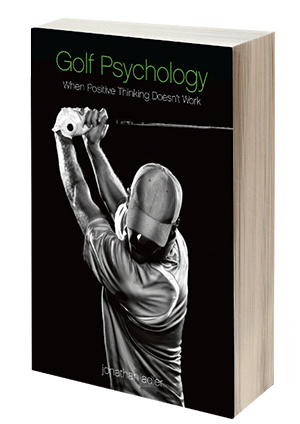 Over the last 10 years or more, the Author, Jonathan Adler, has been helping golfers to overcome their yips. Here he shares his experiences and techniques. 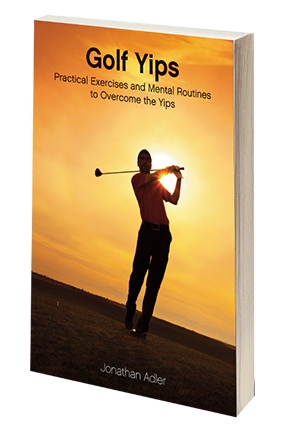 “You may be surprised to learn about the true cause of your yips. It is not a mechanical issue. Although it is true to say that when you play your chip shot or your putt, your technique does break down, this is not the cause of the problem. Trying to fix your technique does not address the cause of the problem. It is like removing the leaves of a weed. It may temporarily seem to have cured the problem but unless you get to the root and pull it out, your problems will remain. No, the true cause of your yips is you. Your very own mind has become conditioned to respond in this way when you play your chip or putt. Isn’t this why when you are feeling relaxed, perhaps practicing alone, your yip can be less severe? You must strengthen and condition your mind to remain calm and concentrated when you play these shots. The exercises and routines in this e-book, if practiced regularly, will do just that, strengthen and condition your mind. I bought your book the iBook / iTunes. 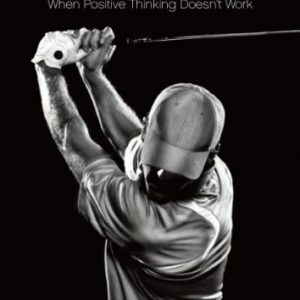 I Googled “golf psychology positive thinking” and came up with an array of books / videos / lessons and a bunch more. Amazon had yours almost at the top of the list. As I was becoming an angry player if the present game wasn’t going as well as the last game. I felt I had to do something about my mental attitude or I would end up playing by myself. on mind and thinking. Put theses 2 chapters together and you have a different game plan. I have still not got the ‘learn to let go’ mastered yet but am working on it. Overall your book is just so easy to read and grasp what you are getting at. My handicap has come down from 23.4 to 20.6 in a matter of weeks because my attitude and mind set are different.